Some nights call for dressing up, making reservations and going out for a movie. Others call for a quiet night together with no distractions, candlelight dinner and fun talking in the kitchen. Food always has a special way of bringing people together and creating conversation. As usual, we made our usual Saturday morning trek to the Lippett Park farmers market in Providence. First stop coffee to function like a normal human being, second stop Humble Pie for their mini pies to get rid of the hangry then off to mix and mingle, hem and ha over veggies and finally leave with a heavy bag of fresh produce loot. We grabbed the last of the summer squash as fall is finally here and we knew it wouldn’t be long until the root veggies make their 6 month appearance. I’m usually a fan of steak and potatoes, but this time we did something a little lighter and cough, cough healthier. And like I said, who can turn down the last of the local summer vegetables? Preheat your oven to 475 degrees Fahrenheit. 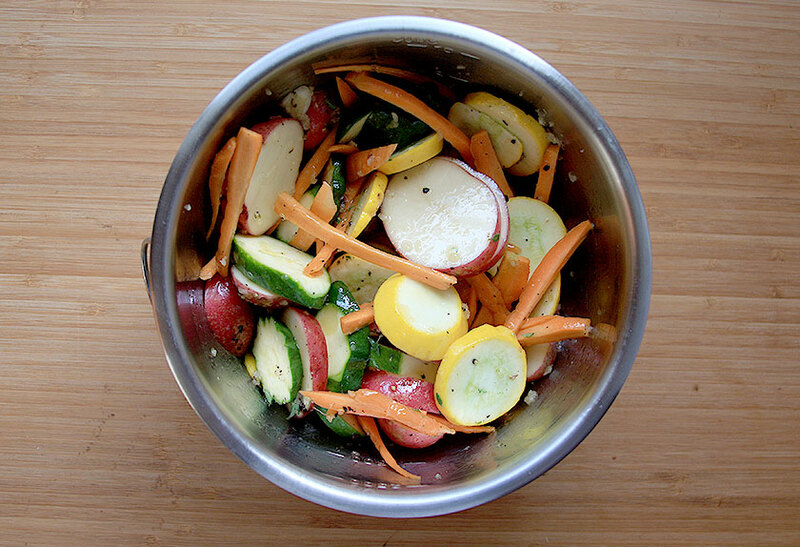 While the oven is warming up, slice your veggies and add to a large mixing bowl. Mince garlic and then add that to bowl. Combine salt, thyme pepper and olive oil with the rest of your ingredients and toss. Make sure all of the oil, salt and pepper is evenly mixed into the veggies. Once tossed, evenly spread the vegetable medley in a cast iron skillet and put in the oven for 55 minutes, stirring occasionally. 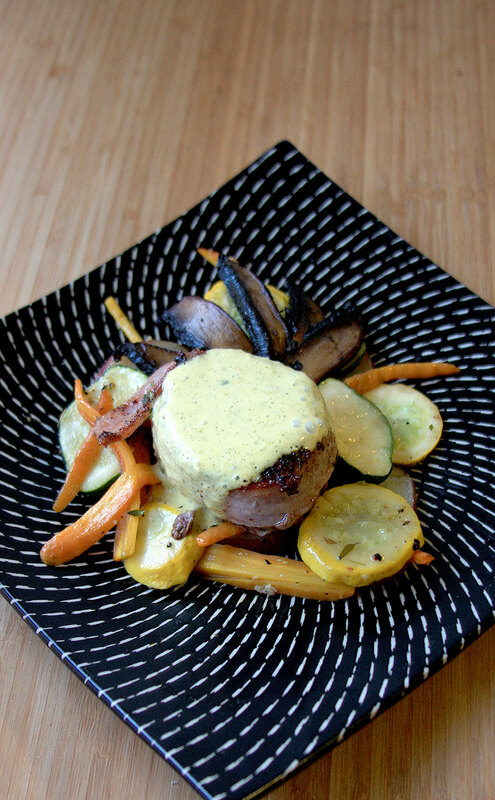 This is a very simple dish that is meant to enhance the filet mignon dish. To prep, cut up the portobella mushroom into long strips. Then heat up the butter in a sauce pan on medium to high heat. Lay the strips of mushroom in the pan and add the salt and pepper. The mushrooms should cook for about 7-8 minutes or until the mushrooms have absorbed the butter. 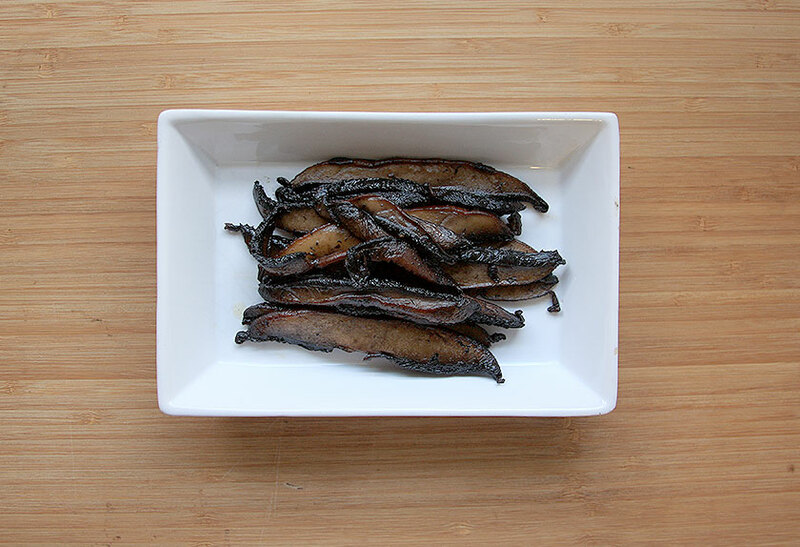 Once the mushrooms have sufficiently caramelized, remove from the pan and set aside. Combine your chopped tarragon, shallots, white wine, vinegar, salt and pepper into a small sauce pan. Bring your heat up to a medium high heat until the liquid has halfway reduced. Set aside the sauce pan and let the combination cool. Then beat your egg yokes in a mixing bowl, add your reduction to the eggs and mix them together. Again, it is very important to let the reduction cool so when you combine it with the eggs, it doesn’t cook the eggs. Melt your stick of butter in something that will be easy to pour. We used a microwave and a measuring cup. Because we don’t have a fancy kitchen set up with a double boiler, we did this next step with a blender. First, pour your egg mix into the blender and set your blender on “stir”. Then, slowly pour your melted butter in a steady stream into the blender. Once all of your butter has been added to the blender, turn your setting to high. 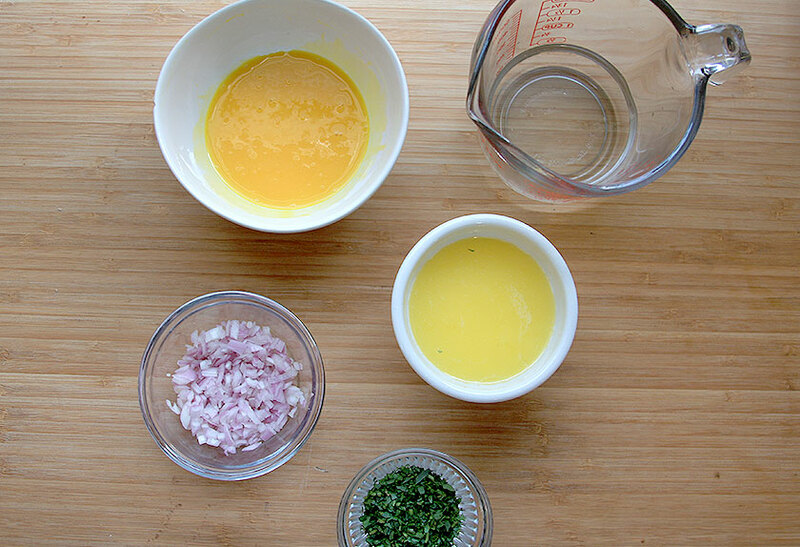 Your egg mix should now have a lighter color to it and your Bearnaise sauce is ready to be stored in a room temperature area until your steak is ready. Set out your filets for 20 minutes before cooking to allow the meat to reach room temperature. Wrap two pieces of bacon around each filet so it evenly covers the edge and secure with twine or toothpicks. Then evenly salt and pepper the steaks. In a skillet with medium-high heat, melt the butter and then add the steaks. Make sure your skillet isn’t too big as you want to keep as much as the juices as possible and reduce the risk of burning the butter. But also be careful of using too small of a skillet or your steaks can steam rather than sear. Bring the heat down to a medium heat and cook each side for 10 to 13 minutes, turning and browning the top and bottom evenly (your meat should reach 145 degrees F to 160 degrees F as the final temperature). Remember that this cooking time is based off of thickness. If your steak is a thicker cut, then you will need to let it cook for a couple of extra minutes. Once your meat is done, remove off of the heat and cover in tinfoil for 5 minutes before serving. When you’re ready to plate, create a nest of the vegetable gratin and layer a couple of portobella mushrooms over the veggies. Remove your butcher strings or toothpicks from the filets and nestle on top of your vegetable medley. Finally, pour the decadent bearnaise sauce on top and enjoy by candlelight. This meal sounds amazing, including the ambiance of candlelight. It was! I’m a sucker for anything with bearnaise sauce on it. 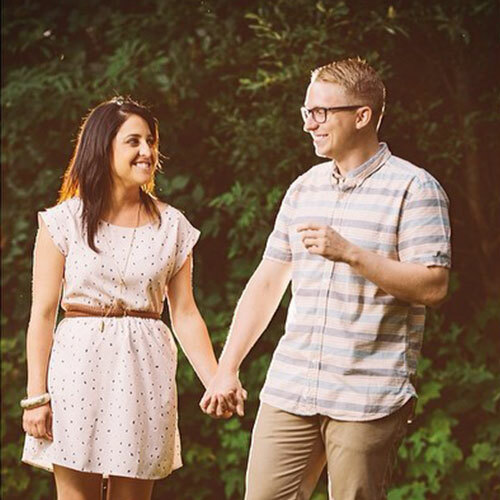 I am so using this for a date night in this weekend! Thank you so much!